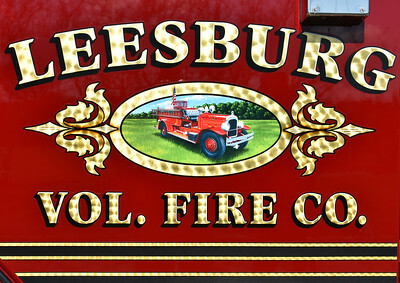 Leesburg's 1929 Seagrave as found on their 2016 Pierce Enforcer. 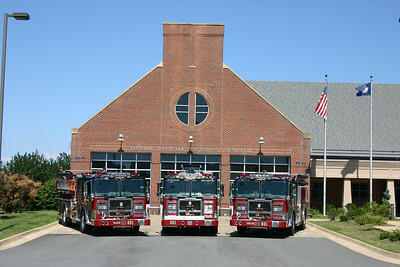 Leesburg, Virginia - Loudoun County - Fire Station 20. Station photo of Leesburg's three Seagraves. 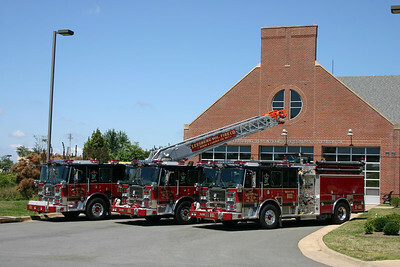 Wagon 601, Engine 601, and Truck 601 (all 2007 Seagrave's) photographed in front of Fire Station 20 in Leesburg. This photo session was created for an article that appeared in the Virginia Fire & EMS magazine. The group photo appeared on the front cover. 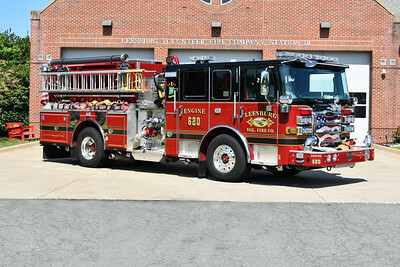 Leesburg Engine 620, a 2016 Pierce Enforcer 1500/750/30 with job number 30156. The mural's of the department's 1929 Seagrave are on the front doors. Dedicated to J.B. Anderson II with mural's and the bell on the front bumper. Engine 620 was photographed in August of 2017. 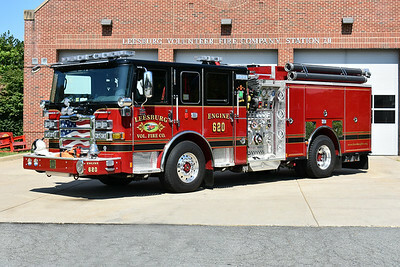 This Pierce will also run as Engine 601 as Leesburg's two stations will swap engines at times. An officer side view of Engine 620, a 2016 Pierce Enforcer. A back end view of Leesburg's Engine 620, a 2016 Pierce Enforcer. 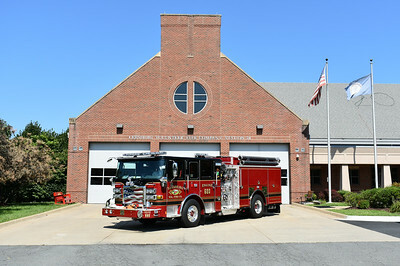 Engine 620 sitting in front of Fire Station 20 in Leesburg, Virginia. Photographed in August of 2017. 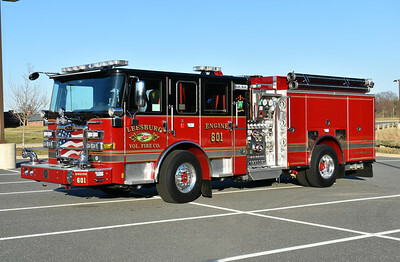 Leesburg Engine 601, a 2016 Pierce Enforcer 1500/750/30 with job number 30156. The mural's of the department's 1929 Seagrave are on the front doors. Dedicated to J.B. Anderson II with mural's and the bell on the front bumper. Engine 601 was photographed just after its dedication ceremony on 2/26/2017. 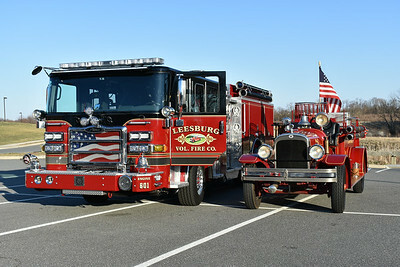 Leesburg's new Engine 601, a 2016 Pierce Enforcer, along with the department's 1929 Seagrave. The emblem of the Seagrave is on the doors of the new Pierce. Photographed February of 2017 just after the dedication of the new Pierce. Leesburg's 2007 Seagrave Marauder 100' tiller changed its designation from Truck 601 to "Truck 620" when the department placed into service their 2002 Pierce Dash 105' rearmount in 2011. Leesburg's 2002 Pierce is a reserve ladder and kept at Fire Station 1 in downtown Leesburg when not in service. 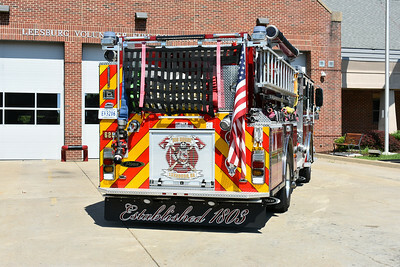 Truck 620, the Seagrave tiller, runs from the main station (Fire Station 20) and thus has the designation of Truck 620. Truck 620 was photographed next to Fire Station 20 in November of 2011. 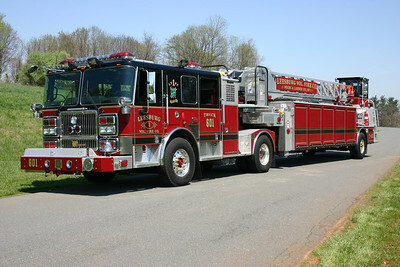 Truck 601, a 2007 Seagrave Marauder II 100' tiller. Extrication tools on the front bumper. 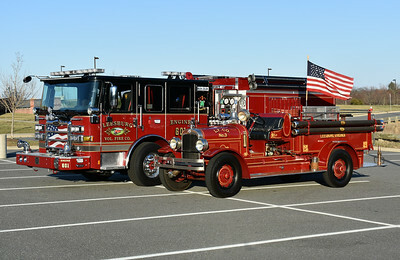 This photograph appeared in the September/October 2008 edition of Fire Apparatus Journal. 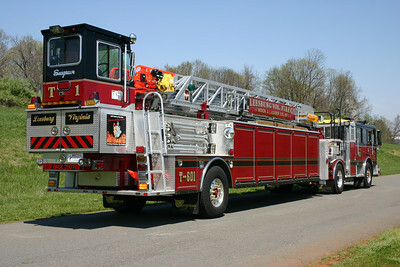 Truck 601, a 2007 Seagrave Marauder II 100' tiller. 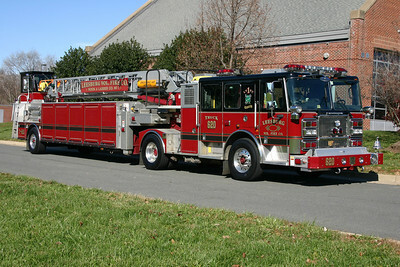 Rescue 620 from Loudoun County's Leesburg station is a 2009 Pierce Lance, with job number 21515. This was originally Rescue 613 from the Loudoun County Volunteer Rescue Squad. 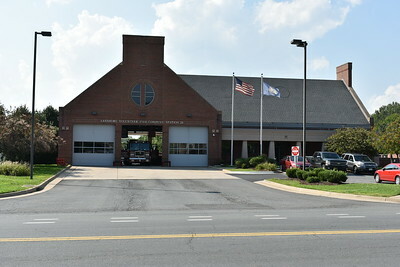 During 2015, Loudoun County Volunteer Rescue Squad ended heavy rescue operations, and the 2009 Pierce Lance needed a new station. Rescue 620 was established on July 30, 2015 and began running from Station 20 in Leesburg. 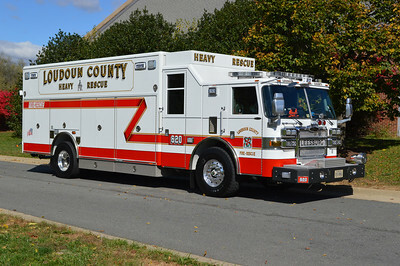 A reserve county squad was used (Rescue 680) while the 2009 Pierce Lance was modified for its new role at Station 20 - compartments were revised, striping color change, some new graphics, and LED lights were some of the revisions. On October 28, 2015, the 2009 took over Rescue 620 duties and was placed into service. This photograph was taken shortly after that date next to Fire Station 20. 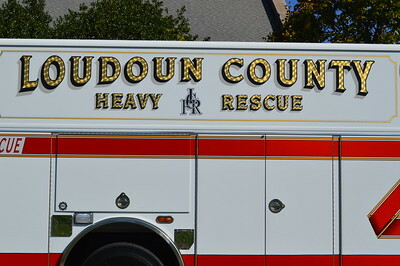 Rescue 620 from Loudoun County - Leesburg station. 2009 Pierce Lance. 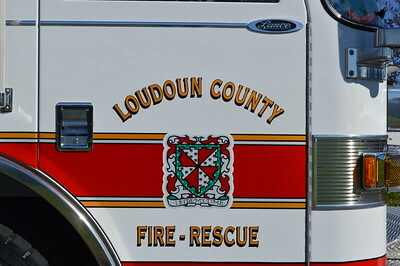 The Loudoun County emblem found on Rescue 620 from Leesburg, a 2009 Pierce Lance. 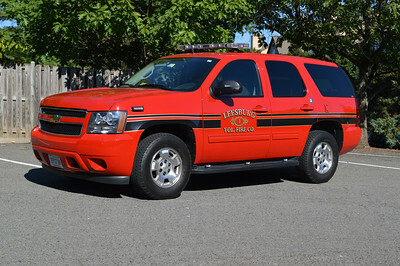 Command 620 is a 2010 Chevy Tahoe/Fast Lane. This unit started without a light bar, but had it added later on. Utility 620 is a 2008 Ford F-450. Used to tow the Department's 1929 Seagrave. Received in 2014 from Keplinger Repair Service in Winchester, Va.